Year after year, Radiant supplies homes and businesses around the world with the latest phone cards and communication devices for the best rates in the business. The customer support is extremely friendly, yet remains professional every hour of every day. You can depend on Radiant to keep you well connected. For many years, Radiant has been a provider of high-quality Prepaid Phone Cards and advanced telecommunication services. Our highly trained professionals provide first-rate communication services to help people stay connected to friends, family and business associates around the globe. Keeping up with the latest technology and most advanced equipment available, Radiant offers a nice selection of services, including various internet options, VoIP/Broadband phone service and mobile international long distance. At the same time, our top notch customer support is nothing short of outstanding. On a daily basis, our friendly representatives provide clients with a safe and secure way to acquire reasonably priced, user-friendly prepaid phone cards online. Radiant delivers a superb service for fantastic prices. 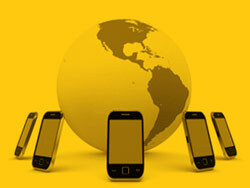 Radiant is completely dedicated to providing customers with hundreds of international phone cards to choose from. Buyers can take advantage of superior calling card rates to the country of their choice. Buy quality phone cards from the comfort of your Home 24 hours a day, 7 days a week and make calls from anywhere, anytime. Our selection of international phone cards entails several choices, such as recharge, auto recharge, pinless dialing and speed dialing. Say goodbye to connections fees and service fees, as well as maintenance fees. With Radiant, you'll have the best connections in the world.